The Director of the International Conference on Cyberlaw, Cybercrime and Cybersecurity is Mr.Pavan Duggal, who has been acknowledged as one of the top 4 Cyber Lawyers around the World. 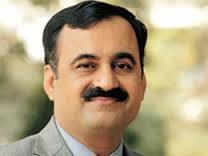 Mr. Pavan Duggal is the President of Cyberlaws.Net. He is working in the pioneering area of Cyberlaw. While a practicing Advocate, Supreme Court of India, Pavan Duggal has made an immense impact with an international reputation as an expert and authority on Cyberlaw and E-Commerce law. Pavan is a regular on the lecture circuit. He has spoken at over 1500 conferences, seminars and workshops in the last seven years, and has lectured extensively in select law colleges.